Bike-in office ramps, electric-hued walls, break-rooms-meet-coffeehouses, meeting-spaces-turned-lounges, rooftop desks: these are just some of the perks of working at top companies’ sleek campus headquarters. Today’s coolest, most inspiring, best offices look more like adult playgrounds than places of work, where spending eight hours looks rewarding instead of grueling. Sure, some of the offices are more gimmick to make headlines and attract applicants than strategic design, but most do offer benefits that make work not only more fun but also more productive. 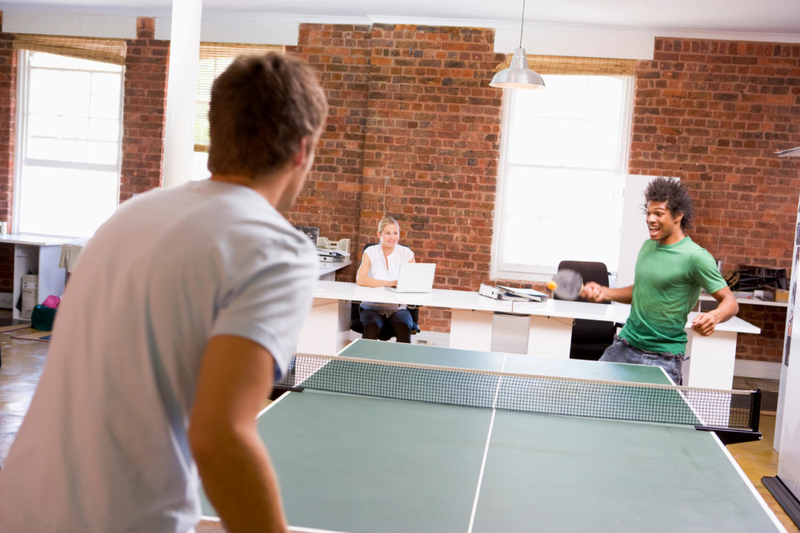 Take the office ping pong table, arcade room or even ball pit. These quirky additions actually produce productive work breaks. What better way is there to shrug off stress, bond with colleagues or get creative than battling it out, strategizing and getting goofy together with a little playtime? There’s also the nap pod, office privacy pod or movable screen. These enclaves of refuge within the open office shelter workers from noise and distractions for rest, focus, solo time or one-on-one collaboration. But where are the world’s best digital office spaces? What are the top digital office designs of our time? Considering that 79 percent of knowledge workers worldwide now telework, isn’t it time we start thinking about digital workspaces in the same way? In lieu of cubicles and conference rooms, virtual teams access files, communicate, manage projects and brainstorm together using technology. These tools aren’t just digital workspaces but really virtual offices for the remote workers that live in them, and by thinking about technology in this manner, virtual teams can reap the same benefits of being at fancy headquarters from wherever they are. Use multiple tools to accommodate a variety of work activities. The coolest offices typically don’t just have one, big open room to work. They have cafeteria-style breakrooms for casual meetings and company updates, out-of-the-box nooks with swings and whiteboards for creative thinking, lounges for teamwork and problem-solving and glass-walled conference rooms to collaborate. Likewise, virtual teams can use online meeting rooms for presentations and team building, chat for one-on-one conversations, webinars for all-hands meetings, collaboration solutions for cross-collaboration and creativity and conference calls for team updates. Assigning a different tool to each unique activity helps ensure communication channels don’t get bogged down by noise and provides more tailored features to support the multiple ways we work. Customize technology to reflect company culture. Instead of painting walls, virtual teams can add more color and personality to digital tools. Team spirit and company culture can be just as transparent and in plain view online as it is in the office with the right technology. For instance, PGi’s online meetings and webcasting software lets users customize backgrounds with unique logos, colors and animation, and collaboration solutions can be personalized to reflect the entire company, as well as each department within online team workspaces. Make online conversations feel as natural as real life. Here are three ways PGi makes this possible. We offer the highest quality in audio and video so the technology feels invisible and collaboration remains the focus. We also make every piece of technology extremely easy to use with simple interfaces, intuitive layouts and smart features. In addition, PGi is creating a unified communication and collaboration (UC&C) experience for users, which means toggling between applications and tools feels as effortless as walking from your computer to the conference room in the office. Whether you need focus, inspiration, feedback or to share information, PGi’s portfolio of collaboration solutions helps you feel like you’re at headquarters from anywhere. The world’s best offices accomplish what are often the biggest challenges for virtual teams: creativity, community and collaboration. That’s why we need the world’s best offices for teleworkers. Digital tools no longer just connect teleworkers to the office. They are the office—a virtual one that will become more real and lifelike as technology evolves. The time to start rethinking the digital office is now.